During his 25+ years in the IT industry, John has enjoyed the opportunity to work as a consultant, architect, executive, speaker, and author. Involved in multi-national networking, messaging, and communications projects, as well as finding solutions for small businesses allowing them to use technology to increase business opportunity and decrease operational complexity. Passionate about giving back to the IT community, John develops relevant, timely content IT Pros take advantage of immediately within their organizations. Part of the MVPDays team, he develops both online and in-print content. In addition, John authored material as a contributing editor for the Petri.co.il online community as well as senior contributor to Tom’s IT Pro, Redmond Magazine, Netwrix, and both Thomson-Reuters’ Aspatore Books and Exec Blueprints publications. He develops exciting technology training courses for the leader in IT training, Pluralsight. John often speaks at IT events around the nation. 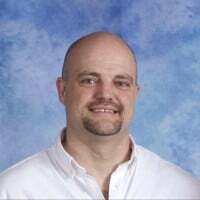 Recently he has been a featured presenter on innovative technology solutions for the enterprise at conferences such as TechMentor, Live!360, the MVPDays, and the Tech Belt Technology Summit. When he’s not presenting at a conference, John can often be found leading fun, informative webinars. John is proud to be honored as a multi-year Microsoft MVP and for receiving NEOSA’s CIO of the Year Award.